I signed up for the annual May long weekend ride with the GTASportriders, the plan, to ride for four days, two down and two back from Toronto down to Salem Virginia and back again, but via the twistiest most fun filled squiggles on a map that we could find. My Fork Seals are Leaking!!! The GTASportriders.com and I have been planning our annual ride for Canada's Victoria Day weekend, and I've had some problems with the bike that had to be sorted out before riding away on a two thousand kilometre trip down south. 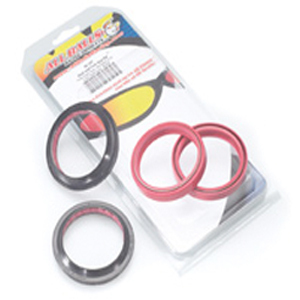 My fork seals started to leak on the left leg, so I ordered in a set of aftermarket seals from Aviciouscycle.ca , the "All Balls" line that they carry. 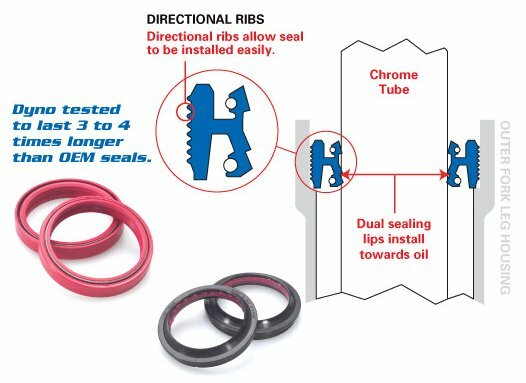 The advertisement reads that they last three to five times longer than OEM seals, so I thought I'd try them as I've gone through seals before. If you have a slow leak, have a look down at the bottom to see if you can save yourself some trouble by using a quick fix called "Sealmate". The big thing was I was going to have a stab at replacing them myself. 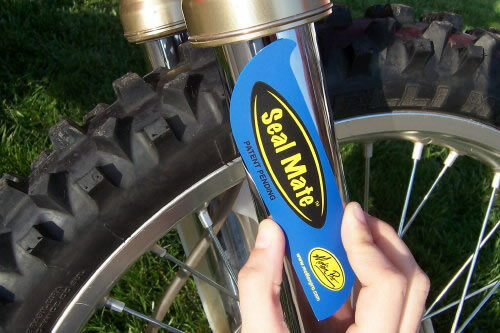 I did some research and found a method on the internet that allows you to unseat the seals and blow them out using compressed air delivered by a bicycle pump, compressor or shop air. so that I could work without fear of it toppling over on top of me. basin. Success! A last blast of oil and I was done!. out with my snap-on hook set and a very small screwdriver. I could replace the retaining clips! clearing it's edge by 1 milimetre at least. I found that the 1-1/2"
"invert the pvc pipe and thump the whole assembly into the ground." fluid and to level each leg identically. 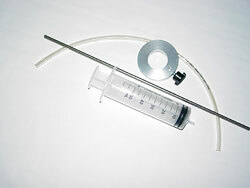 tube with a ring nut attached to a syringe via a plastic tube. You fill the fork leg, set the adjustable ring to the correct depth on the hollow tube, and set the tube into the fork. The ring sits on the top edge of the fork, and you easily draw out the excess fluid into the syringe and deposit it back in the container. seemed like a middle of the road safe guess. Did I mention it's a messy job?